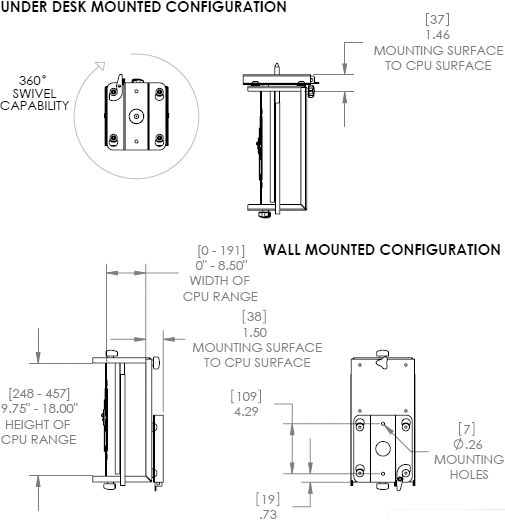 Chief KSA1020 Flexible CPU Mount is the perfect solution for integrating a CPU with your desk or wall mount. 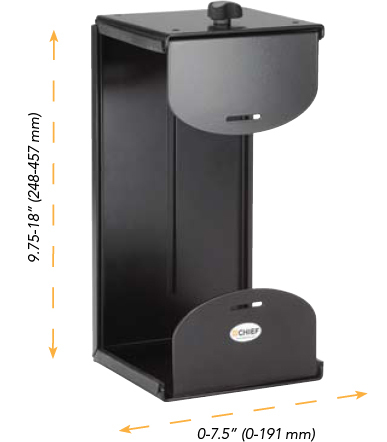 It fits 95% of units used in commercial environments. The innovative design includes infinite adjustments to fit almost any CPU, and includes features that facilitate maintenance and cable access.